Our success and popularity as a college are built upon our commitment to providing our students with the best possible learning environment and highest possible standards of support and guidance. Thank you for your interest in Queen Elizabeth Sixth Form College. I am delighted that you are considering becoming a student here. You probably already know about our students’ achievements, their success in examinations and the large number who progress from QE to university each year. 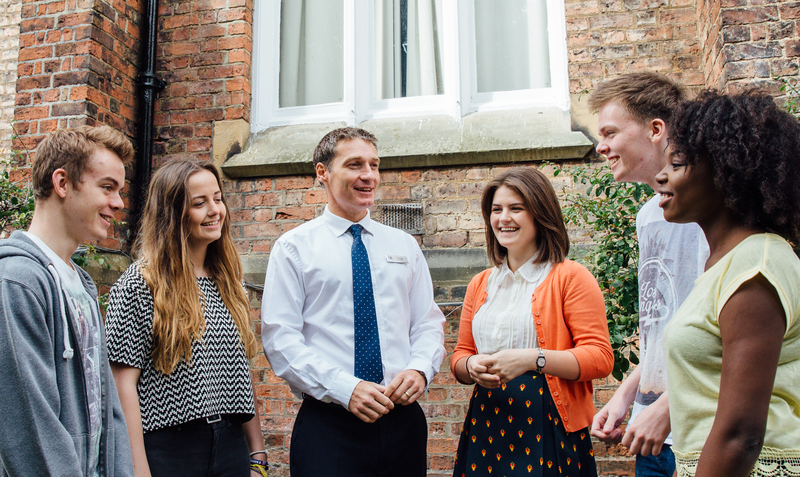 This summer over 650 of our students progressed to over 100 different universities including 181 to the Russell Group. We also consistently enable students to secure places at Cambridge and Oxford universities with more than 100 progressing to these highly prestigious establishments in the past 10 years. Some students choose to go straight into employment or embark upon higher level apprenticeships with the distinct advantage of excellent A Level results plus the maturity and skills that they acquire during their time at QE. Our success and popularity as a College are built upon our commitment to providing our students with the best possible learning environment and highest possible standards of support and guidance. If you apply for a place at College, you will find that we devote a great deal of time and expertise to helping you match your needs and aspirations to the wide range of courses we offer. At QE, staff and students work together to produce a mature learning experience that is supportive, exciting and challenging. We expect all of our students to work purposefully throughout their time at College, but we also expect them to enjoy themselves. In addition to academic courses, you will find a great variety of extra-curricular activities available for you to choose from, as well as an active Student Association. We take pride in the great reputation that we have established as specialists in post-16 education and our aim is to enable every student to fully achieve their potential. You will find the College is extremely well resourced to meet the needs of students. Thanks to over £7 million investment in our buildings and facilities over recent years, all of our subjects are taught in areas specifically designed to meet the requirements of post-16 study. If you want to learn more about the College, I am sure that you will find it helpful to attend one of our Open Evenings and if you require further information, please contact Meirion Baker (Assistant Principal). I hope that you will take this opportunity to visit us and I look forward to meeting you in the future.